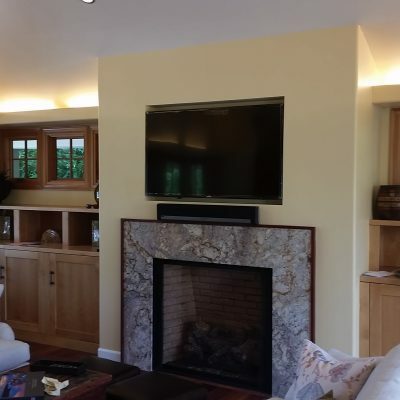 Your TV, flat screen, or panel is the heart of your video system. 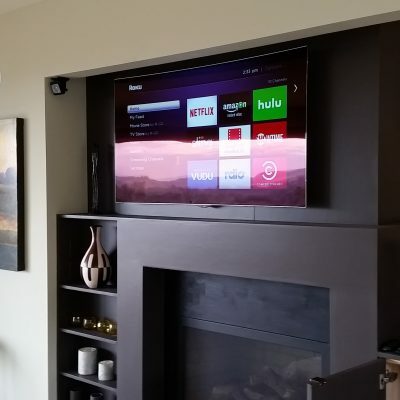 How and where it is mounted makes All the difference. 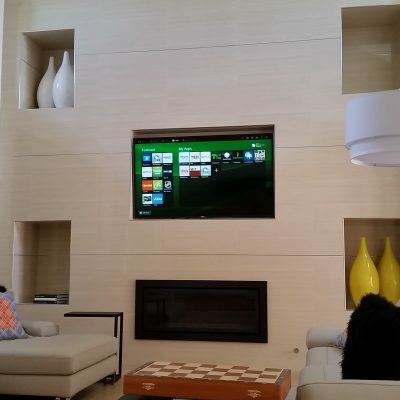 Digital Living has installed thousands of TV’s and each one is different, yet, a Digital Living mounted TV always turns out professional. 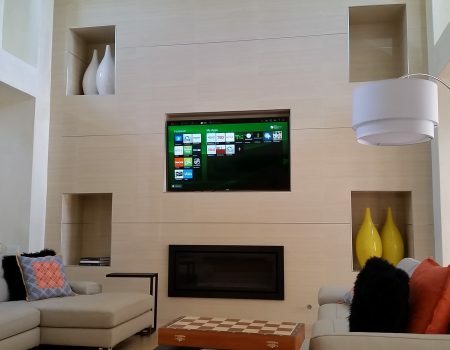 Have Digital Living professionally install or mount your new or existing TV today. 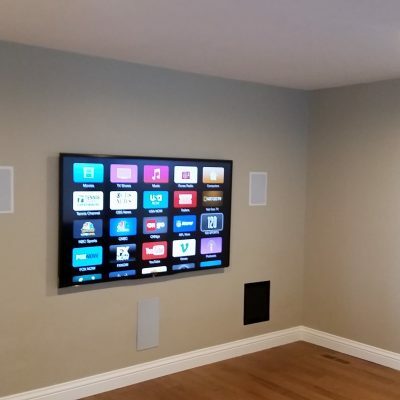 Digital Living has won the Tech Integrator “Contractor of the Year” 4X ‘s in a Row for our professional and courteous attitude and extensive knowledge. 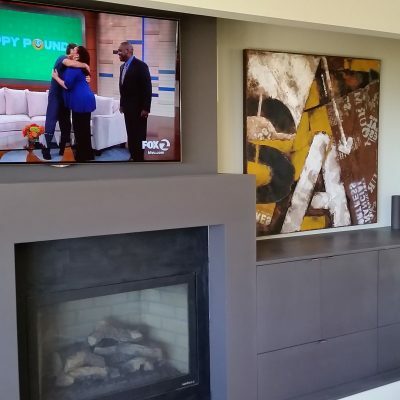 Having your TV professionally mounted or installed will bring you years of enjoyment and can transform a room, if done correctly. 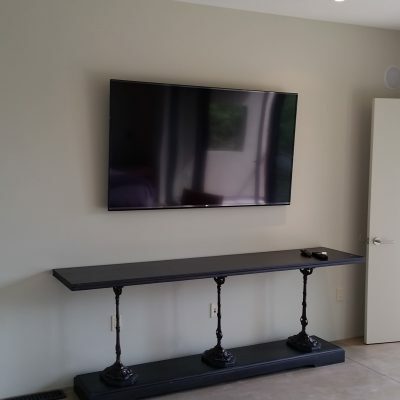 For an elegant and clean look, you will want to conceal the wires and power in the wall. 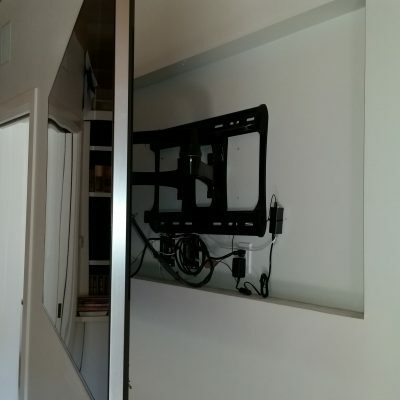 This give the appearance that the TV is floating. 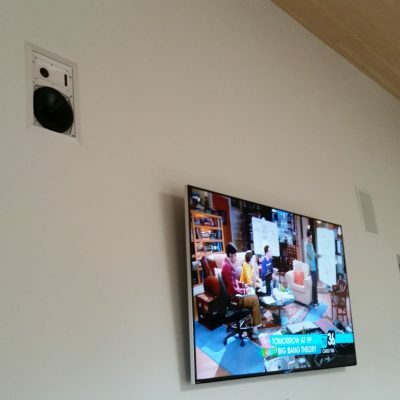 You may also want to conceal, or centralize your audio-video equipment, which can create additional space in a room. 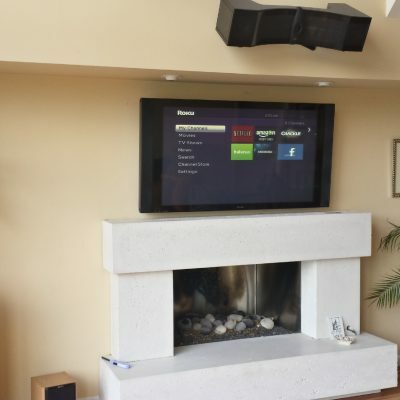 Digital Living has helped many homeowners plan and install centralized audio-video equipment over the years and we can transform your system. 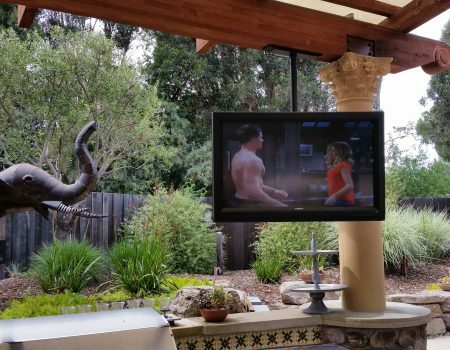 Outdoor video and audio will bring to life your outdoor setting. 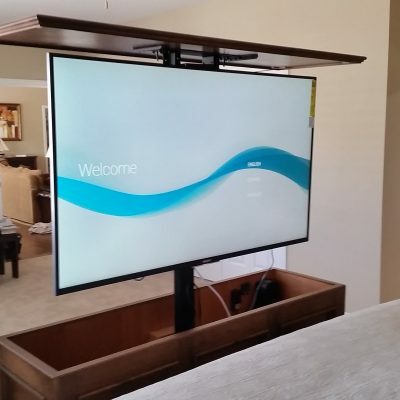 Proper equipment, integration and control are key. 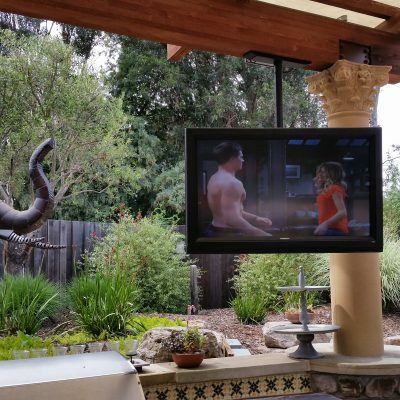 Have a pro help you with your outdoor audio or video project..hire Digital Living to be your pro. 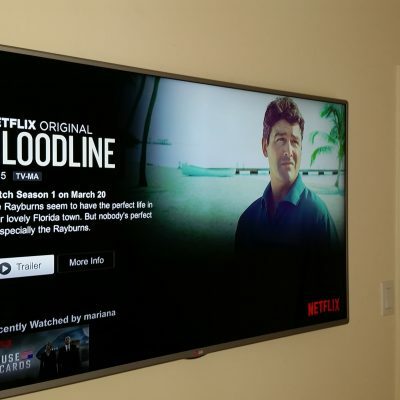 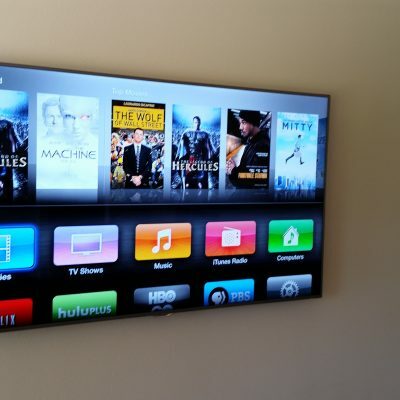 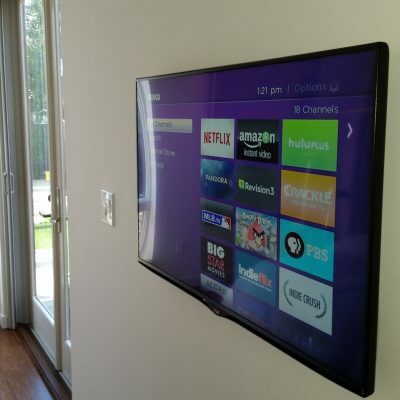 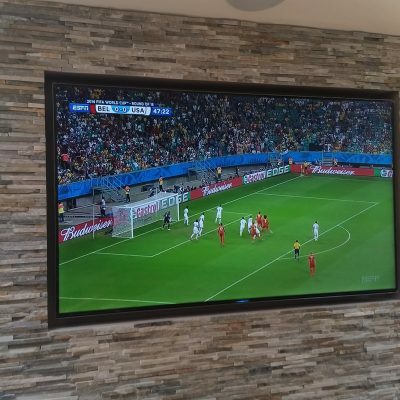 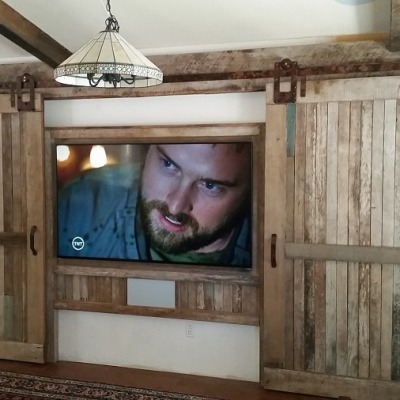 To Have Your TV Professionally Mounted or Installed Today, Call Digital Living and Get Connected.